Parts of Wrockwardine church are older than the mid 12th century and there was a priest in 1086. 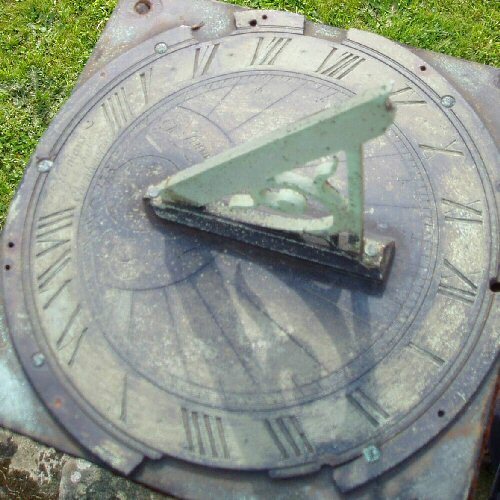 The dial in the churchyard is dated to 1750, inscribed with the names of the two churchwardens, Tho. Onions and Rob. ?akin and the maker, R. Humphries. 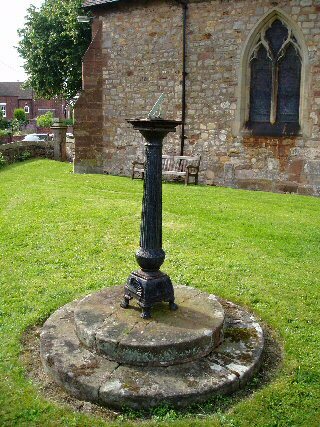 It has an cast-iron fluted pedestal, from Coalbrookdale, and probably more recent than the dialplate itself.